The Innovation Collaborative is conducting a national study that will help outline effective practices for STEAM (STEM+Arts). 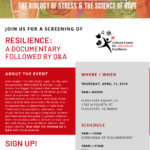 The Arizona Center for Afterschool Excellence will present the documentary “RESILIENCE — The Biology of Stress and the Science of Hope” from 9 a.m. to noon Thursday, April 11 at the Flagstaff Aquaplex, 1702 N. Fourth St., Flagstaff. Stay after the viewing for a Q&A session with local experts, including Virginia Watahomigie, executive director of the Coconino Coalition for Children & Youth. 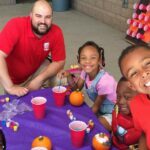 2019 Conference Photo WinnerICAN Positive Programs for YouthThis year we had 50 photo submissions for the 2019 Conference Photo Contest. The 27th Annual School’s Out, Make It Count conference will feature ICAN’s winning photo. Grand Canyon University has just opened applications for their STEM Implementation Grant. This grant supports Arizona educators in the strategic implementation of STEM through problem-based learning and embedded technology. 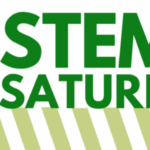 They are looking for applicants who are currently incorporating STEM into their curriculum and would greatly benefit from grant funds for continuing efforts (view the in-depth grant criteria). Join us in Phoenix on Feb 26th, Tucson on Feb 28th, or Flagstaff on April 11th. Q&A with local experts immediately following the movie. 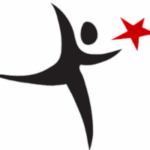 $30 per person, seats filling fast – Register today! February is Black History Month, the perfect time to celebrate the impact African-Americans have had in STEM fields. Ozobot developed a list of 14 STEAM Classroom [or Afterschool!] 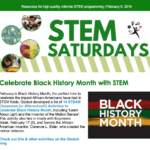 Activities to Celebrate Black History Month, including ‘Learn About Light and the Inventor of the Motion Sensor’. Showcase your program on the conference collateral and have your photo be featured in the printed program. Anyone can be the photographer even your program’s participants. The 27th Annual “School’s Out, Make It Count” conference will be held Oct. 19 at the Phoenix Convention Center. The Arizona SciTech Festival is a statewide celebration of STEM held annually in February and March. This year, over 1,000 expos, workshops, conversations, exhibitions and tours will be held in diverse neighborhoods throughout the state. 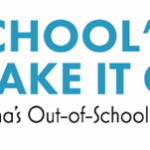 The 27th annual School’s Out Make It Count Arizona Out-of-School Time Conference will be held Saturday, Oct. 19, 2019 at the Phoenix Convention Center. The conference will feature four hours of professional development, a keynote presentation, the Awards of Excellence celebration, an exhibitors hall and complimentary lunch. Individual and Group Registration options will be posted in April.